So you have been trying to lose weight for years but every time you try to lose weight you manage to drop a few pounds and then give up by making an excuse that “it’s too hard” or “I wish I had more time” or even “this one isn’t for me” although with the latter, there probably isn’t “one” for you – you are still looking for the magical weight loss solution, that doesn’t exist, hence you are still battling your weight. The hard truth of it is that although a lot of people ‘think’ they want to lose weight, but really, are they willing to put the in hard work to get to their goal? Honestly? What are you willing to do to get to the figure you desire? 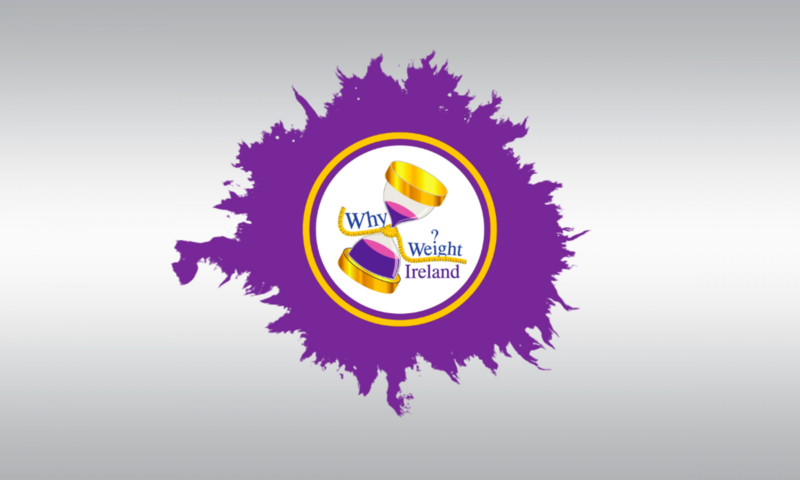 Since starting Why Weight Ireland I have met some remarkable people, men and women who have taken their life by the scruff of the neck and did what it took to hit their goals. I’ve found that the more vocal you are, the more interaction you have the better chance of a successful weight loss and a more consistent weight loss journey. Those who look for motivation and encouragement while also encouraging and motivating others really do succeed in their journey. I’ve seen so many people come in, follow the plan for a couple of weeks and then decide that its easy and try doing it themselves. Within a couple of weeks their weight was back up and they end up coming back to use the diary – a week or two later and the weight they had gained previously was gone. The truth is, if you follow the plan YOU WILL LOSE WEIGHT but you have to do it – you have to fill in the diary and do the work, but I can promise that if you put the work in you will be rewarded by losing weight in a safe and controlled manner. I’m not going to promise you that you are going to lose a stone in a week or two or drop 5 dress sizes by doing a few exercises – that just isn’t real life! You aren’t going to lose 4 stone in a month either – You will however lose weight if you stick to the plan. Each person is different and the weight loss will be different each week. Sometimes we might lose more than expected and other weeks we might not lose any weight at all even if we DO stick to the plan – and this is all completely normal. Some might lose weight and have no change in their measurements and some might not lose weight but lose inches off their body. For women especially hormonal changes can affect your weigh-in so although each week may fluctuate slightly on the scales, overall your weight loss will average out. I have seen other people want to lose weight, try hard for a couple of months, do well but get a bit bored and start to drift away. Their weight stagnates and then increases and then they find another thing to try and lose weight because they feel that they weren’t losing enough weight before (even though they were or if they had actually stuck to the plan they would have lost weight) – some people will switch from one thing to the next trying every boot camp and exercise class they can find but what they don’t realise is that they are still eating what they were before and they still aren’t losing weight. Why? Because they still never took control of their eating habits properly! You cannot lose weight by exercise alone. The only way that we can conquer our weight loss and the obesity issues of today is to learn and educate ourselves about food and exercise, draw a line under the past, and start moving on reshaping your future. When you lose weight you aren’t just losing weight for yourself, you encourage others, and if you have children they will learn from you and grow to know your new healthier lifestyle habits. By passing on your knowledge you are helping the next generation and the generation after that. So the next time you decide you want to lose weight, select a weight loss plan that not only gives you everything you need to help you lose weight but also teaches you about foods and how your body deals with them; as well as giving you the exercise plan and support for a full, all over weight loss plan. SO WHAT EXCUSE ARE YOU GOING TO USE NOW? Weight loss is not easy so stop trying to make it harder for your self. STICK to the plan for the long run and you will hit your goal. If it takes 3 months, 6 months, 1 year or in my case 2 years, depending on how much weight you have to lose, STICK WITH IT. It’s time to look at your self in the mirror and ask your self if you have what it takes to hit your goal. Are you going to let this beat you? Do you want to struggle for the rest of your life? Are you willing to make some changes in your life to better your life? If you are then go for it. What is stopping you?